Does your child absolutely LOVE DOGS? Are you considering adding a dog to your family? Perhaps you cannot have your own dog at this time. 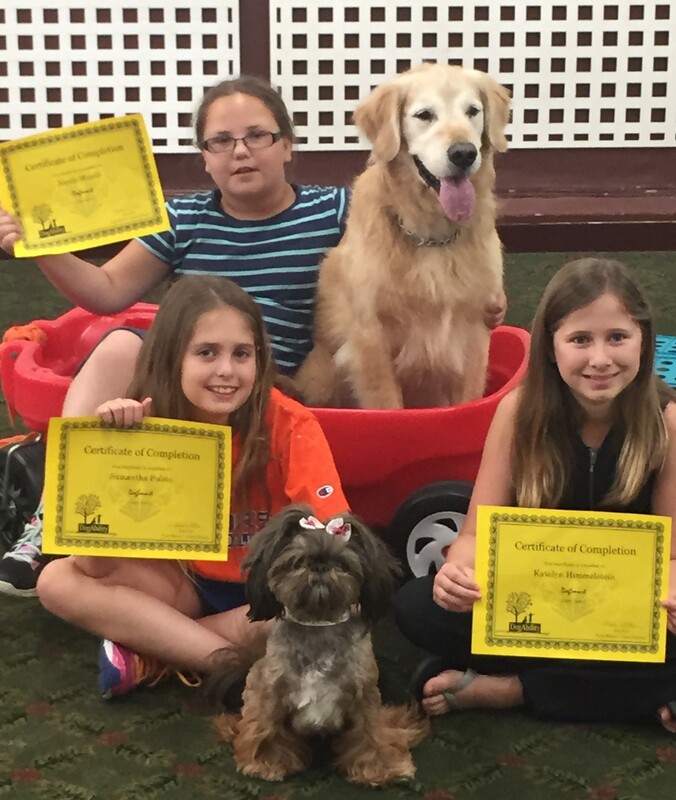 Might your child gain the confidence and passion leading to a career in canine behavior, grooming or veterinary medicine? DogSmart is a unique children’s activity designed for children aged 8-12. Sessions are held after school or on Saturday mornings. Each series is divided into 4 sessions that include an introduction to topics related to canine care, management, nutrition, training and behavior. For the best scheduling, form your own group of 5 or more children. Each child receives a certificate of completion at the end of each series. Email us to book your series now! Our after school and weekend dates book up quickly, so please plan ahead.